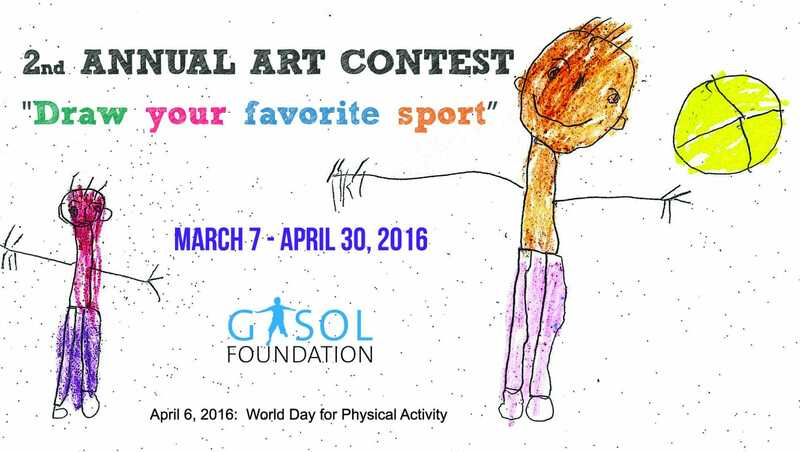 Gasol Foundation received over 3.000 drawings this year for our 2nd annual Art Contest ‘Draw your favorite sport’. Thank you to all of the individual children, schools, and educational institutions who participated in our contest in celebration of April 6th, 2016, World Physical Activity Day! We would also like to thank all of the parents, relatives, teachers and/or legal guardians who submitted drawings on behalf of all the children. By encouraging a love of sport and physical activity, YOU are helping children and young people everywhere live healthier lives. In competition, regardless of whether you win or lose, working as a team alongside other athletes can be so rewarding. Gasol Foundation focuses its time, energy, and financial resources on increasing physical activity, healthy eating and whole wellness. We believe that instilling a love of sports early on in children’s lives helps to facilitate long-term healthy habit formation. A special note: because there were many schools who submitted contest drawings, we want to make a special mention in recognition of their contribution and artistic talent. Thank you! With a special shout-out going to Marianao School (located in Sant Boi, Spain) – the values expressed through your student’s drawings were exactly what we were looking for. It was amazing to see all of their thoughts and feelings so colorfully displayed! Congratulations to all of the winners! We will be contacting you shortly with follow up information. Thanks, again, to everyone for your participation. We hope that you will all participate in Gasol Foundation’s next art contest!